From left: Butch James, John Smit, Jeff Wilson, Justin Marshall and Grant Nisbett. 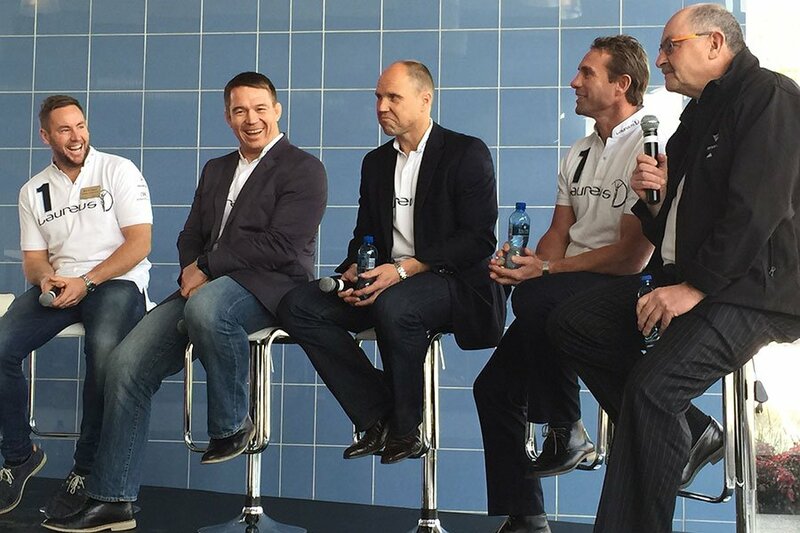 On Thursday, 23 July, just two days before the Springbok vs All Blacks test match at Ellis Park in Johannesburg, traditional rivals from each team gathered at Mercedes-Benz in Pretoria to show their support for Laureus and to voice their opinions on the big match to come. Hosted by Mercedes-Benz Marketing Director, Selvin Govender, the informal breakfast saw legendary players from both sides and a well-known sports broadcaster from New Zealand participate in a group discussion on stage. Ex-Springbok rugby players John Smit and Butch James joined former All Blacks Justin Marshall and Jeff Wilson in a lighthearted discussion with Sky Network Television commentator Grant Nisbett, who called his 250th test match in June 2014. Laureus South Africa Chairman, Morné du Plessis also took part. “South African rugby is historically very similar to rugby in New Zealand,” said former All Black Justin Marshall. “We share the same passion for the game. Rugby also changed the path of my life. Growing up in a small town and potentially heading down a rocky road, rugby gave me the focus to turn my life around. Laureus is a great inspiration and shows young people what sport can do for them,” he adds.